Lawyers and courts who attempt to save money by using tape recorders or other recording devices for depositions or hearings are not capitalizing on what Texas court reporters can bring to the process. 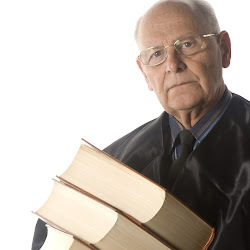 The older, more conventional method was to either take shorthand notes to be transcribed later or to use recording devices during depositions for the same purpose. The main problem with this method is that mistakes can be made in transcription, one’s place can be lost, and the entire job for the court reporter becomes more tedious and difficult. Real time reporting, on the other hand, makes the court reporter a more active participant in the proceedings. Since the testimony is being instantly entered into the transcript, the court reporter is motivated to be more fully involved, a more active listener, and less prone to give sway to boredom or to make transcription errors. Trained and licensed Texas court reporters who are actively involved in gathering all the information that is being set forth in a deposition, for instance, can derive the meaning of difficult or hard to understand portions from the immediate context, which is far more arduous a task when transcribing for a tape or interpreting shorthand. People with hard-to-understand accents, or who might be difficult to interpret during the heat of emotion, might convey meaning that is easier for a court reporter to grasp as it is happening than trying to decipher a dislocated voice from a machine. Texas court reporters that use real time methods are not only more actively engaged in listening to the deposition or hearing, they also benefit from the positive psychological effect from the quality of work they offer. The feeling of vigorous and ongoing participation really does influence accuracy and helps court reporters exceed expectations in producing high-quality, flawless transcripts. Because of its value, real time court reporters are also paid more, which is an advantage to them that should not be overlooked. The advantage to the court is the instant production of a transcript, which can be easily referenced during the legal proceeding, if necessary, in order to clarify a point or dispel confusion. Archived transcripts can also be quickly searched and cross-referenced, bringing to light juxtapositions of information that may shed new understanding on any given situation or case. Conducting searches like this is also the responsibility of trained, professional Texas court reporters who, in the long run, add tremendous value to the entire process.